One of the most complex, dynamic and fun strategy games is finally complete. 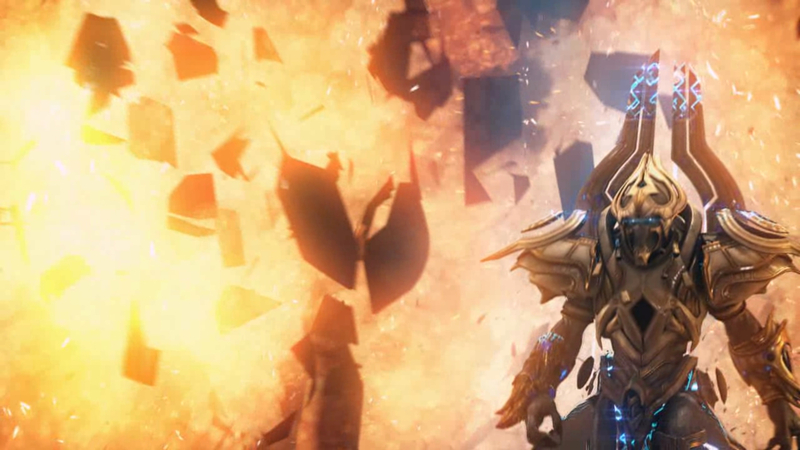 For all the Protoss fans, this was the one long anticipated. As the shadow of the fallen god Amon falls over the galaxy no one is safe. While the Terrans fight among themselves and the others, while the Zerg is swarming across the galaxy obeying their Queen (still in identity crisis) it falls to the Firstborn to set the fate of the galaxy. Little they know of the future that awaits them as they still struggle to survive and reclaim their lost homeworld of Aiur. Although the Prologue Whispers of Oblivion was fun, it had it’s flaws and it looked more like a Heart of the Swarm extension than a brand new game. 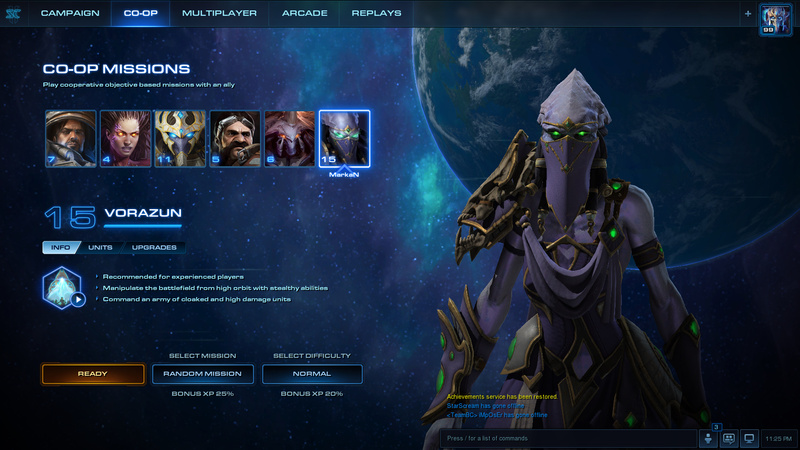 Thankfully, Legacy of the Void really does look and play like a new title. The feeling of freshness is present right from the very first mission. It begins strong and continues like that, with style. 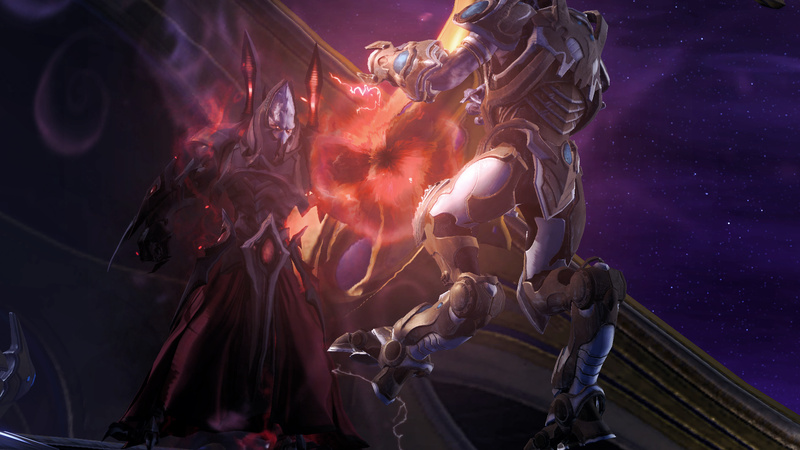 One of the last Protoss Templar, and the chosen leader – Artanis, executes the invasion on Aiur! And that is only the first mission. What some would see as an ending, here it is only the beginning. The tension is constantly present as we venture through some really turbulent and dramatic moments in the eyes of Protoss. If I only mention the second or the third mission of the game it would already be considered as a heavy spoiler, so I refuse to do that as I also want for people to experience it for themselves. The campaign really gives us the Protoss at their best, however, there is still some great content for Terran and Zerg players aswell. It is especially fun to fight through obstacles, search for solutions, make upgrades, strategize in seemingly impossible situations and after everything to take a look from above and see that progression in layers. How once we struggled against a handful of Hybrids, but now we are seriously taking the fight to them. The pacing is great and the whole campaign feels like a crazy rollercoaster till’ the very end. The variety of missions is put together very well. From “All-In” invasions, over map restricting, based on certain conditions to more standard ones where you build your base, army, then attack, but even those have various “spices” that make them unique. Dragoons!? Yes! 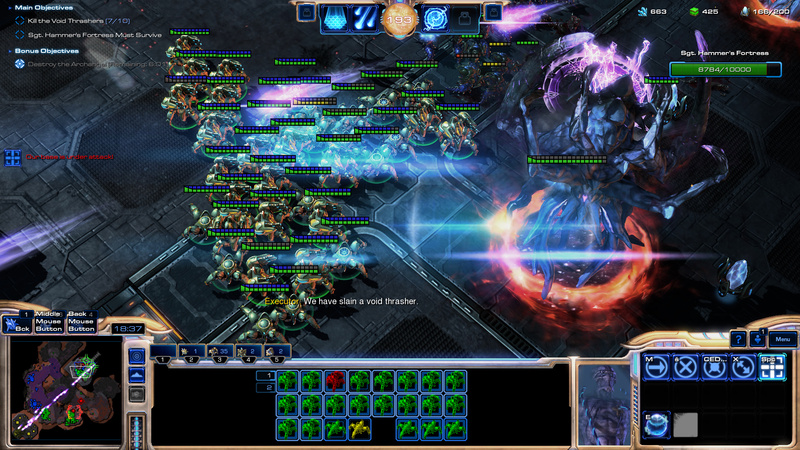 The favorites from the StarCraft 1 and the Brood War marked their return, along with units such as Reavers, Arbiters, Corsairs, Dark Archons etc. Only in singleplayer though. The most important factor for me, however, is the replay value. Wings of Liberty was and stayed best, counting most different ways to play every mission. 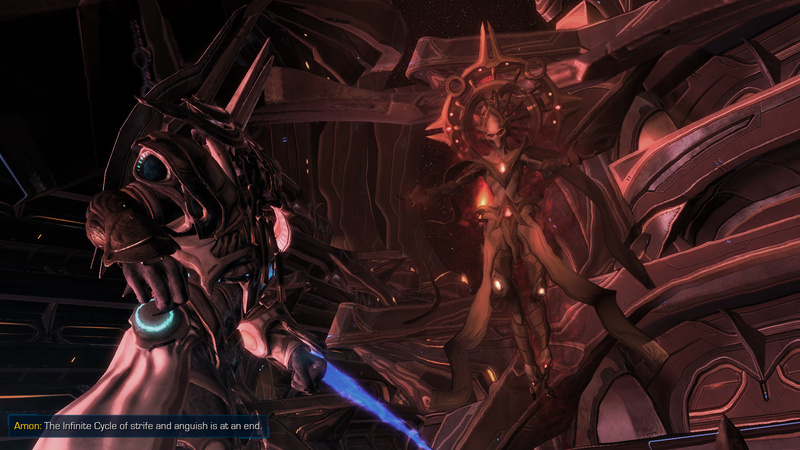 Heart of the Swarm completely failed in that regard while, luckily, the “Legacy” is much much closer to “Wings”. The only thing it lacks are those interesting “scenario choices” introduced in the Wings of Liberty. Also, on the weak points, as we’re getting closer to the end, the missions are becoming predictable. However, it is difficult to say just how much more can the genre evolve when it’s basically facing an extinction. Just like that, the story also becomes predictable near the finish, but it is still quite fun and still gives us that “epic feeling of the conclusion”. 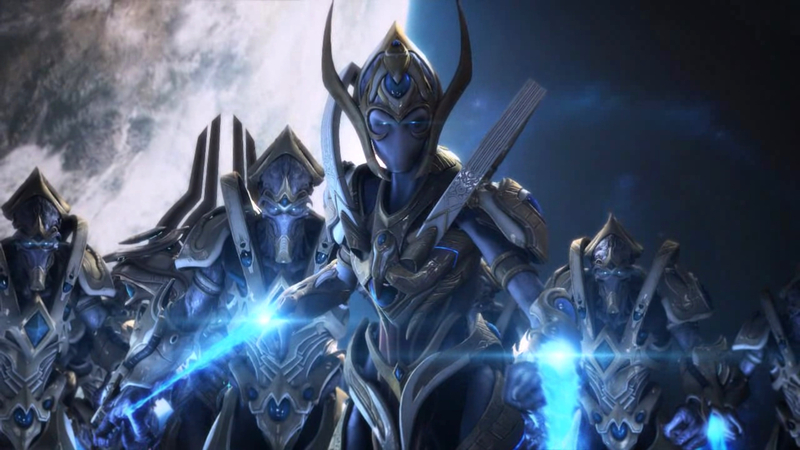 The Khala is something most sacred among the Protoss, greater than any religion. It is important to acknowledge that in order to understand the importance of the story. 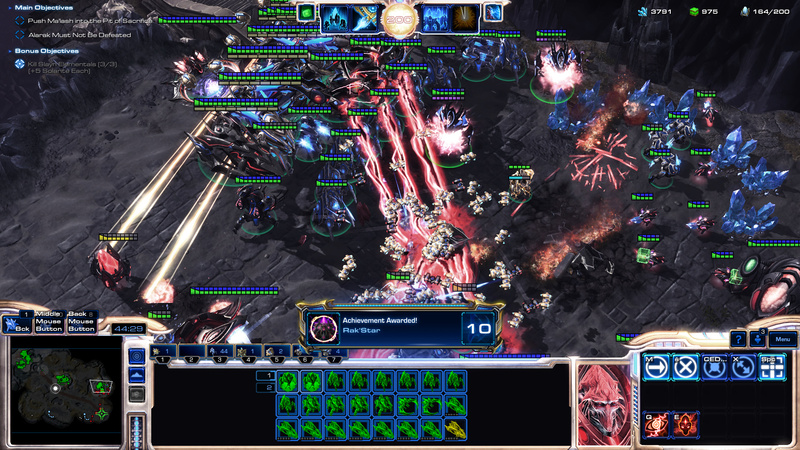 Despite the fact that StarCraft is being played more than ever before, it sound and looks better than ever, there are still lots of fans that are bitter in certain aspects of StarCraft II. Why is that? While the first StarCraft was almost Science Fiction Thriller in terms of the story, StarCraft II is definitely more in the Space Fantasy genre, which was evident by the Wings of Liberty and “cemented” in the Heart of the Swarm. However, that is certainly not a bad thing by itself (hell, Star Wars is also a Space Fantasy) but it is a genre that always had some quality troubles regarding the one-dimensional characters, linear stories and plot holes that most likely appear when we try to see it from another perspective. Although simple, the story in Legacy of the Void is mostly great (on it’s basic level however) and even contains some details which only fans will recognize. On the other hand, I did bumped into a certain dialogue where I had to say “Oh man! Why did you have to say that…”. Certain dialogues, mostly those introductory just seem out of place and even offensive to player’s intelligence treating them like dumb kids, which is for a 16+ rated game, really unnecessary. Furthermore, there is no way that the characteristics of the genre can be an excuse for those bad aspects of the story, there are some flaws and we can’t ignore it either. It’s not very well written, although the ideas are there, actions and reactions are there, there are twists and turns but the truth is that it does lack in some aspects and more substance and details definitely wouldn’t hurt. The Tal’Darim are as jolly as ever. It is really interesting to see their ways and things from their perspective. They should have hired the professional writers, but for years now, it has simply became obvious that they don’t want to. They don’t care about that, and that is unfortunate. Luckily what I said before about the overall campaign still stands, and the good things in it definitely outweighs the bad. For example, do you remember Arcturus Mengsk from the Wings of Liberty? Just like that, Amon, although being a serious threat to everyone (and he really delivers that in most cases) is also disappointingly one-dimensional and in some cases – really dumb! Like the typical mustache-twirling cartoon villain, but the fact of the matter is that the position he was put in, doesn’t require anything more than that, so those flaws that I mentioned are obvious in pretty rare circumstances. Amon is ever present and brings the constant tension throughout the campaign. Well, in the majority of it to be honest, cause later on he starts to get a little annoying. The strongest aspects where we could talk about a matter of taste are the perspectives. 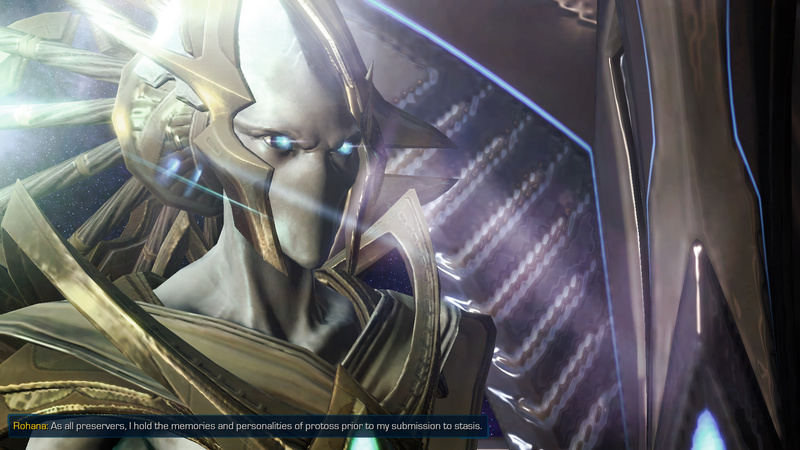 Some people are annoyed by “the prophecies”, some don’t like the Protoss in general where in my book they are one of the best alien species in general. I, for one, was annoyed by unconvincing Raynor-Kerrigan love story and even more by her “PMS” behavior in Heart of the Swarm. 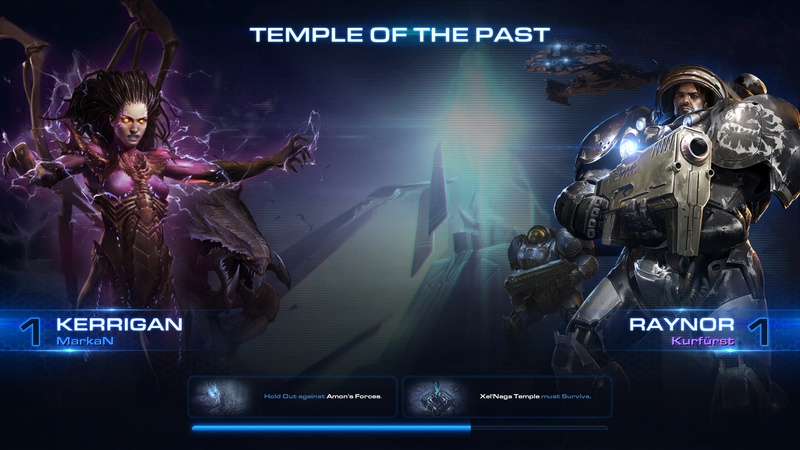 On the other hand, the events in Legacy of the Void are among the ones most anticipated in my book. I won’t lie, I am a huge Protoss fan, and this story is really pushing them to the limits. There is a constant sense of danger and urgency, the animations are great and constant and as the plot is moving so are all the characters. In a way, it is everything one would hope for: Turbulent events, constant pace, explosive action, shock and awe, heroic deeds, bursts of nostalgia… Everything’s here. There is the strength, there is the true spirit of the Protoss, which was the point after all, while that whole situation around the gods and the world’s end makes dinamic and proper conclusion to the end of an era. Despite being five years old, the engine is really flexible and it still holds up even to today’s standards. Ingame animations are greatly evolved as the visuals keep closing in next to the CGI animations. To be fair, there are system requirements that are little bigger than Heart of the Swarm, and much bigger than Wings of Liberty, but that was expected. According to results those requirements are completely justified and the game is still running on everything, from Windows XP (yes! XP!) to Windows 10 and OS X. Even on the lowest settings the game still looks great and has it’s charm, that’s the legendary “silhouette” philosophy for which is Blizzard known for. They know how to make every game successful. Gameplay, design and availability – those are the key features that most modern developers just overlook. Rarely who actually makes those priorities ever since the times of Doom and id Software. The sound in this game is top notch. Every click has it’s reaction and the character while the voice-overs are equally great. 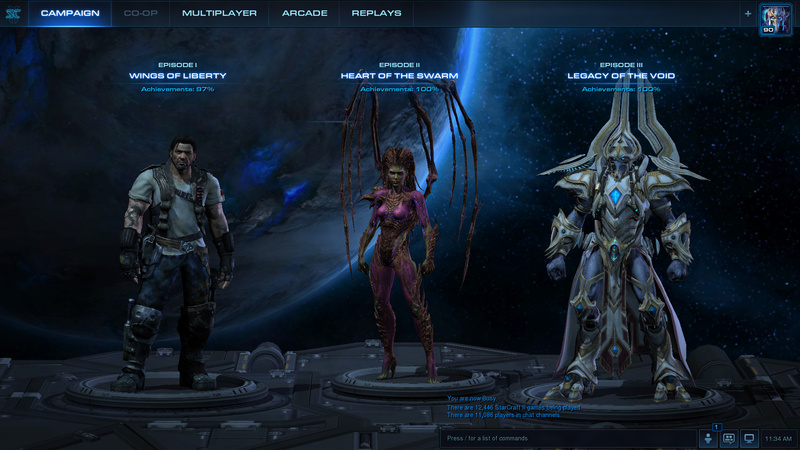 Wings of Liberty and Heart of the Swarm had awesome themes and overall soundtracks and Legacy of the Void has it too. Sure, it may have been played too safe but it’s still done well and it sounds great. It could be said that it sounds too classical perhaps and would use more impact, more dynamic (like HOTS drumming theme for example) which I agree with. However, the only real complaint could be that it’s not enough “Protoss-like” as it was in the original StarCarft and Brood War. It is a typical “Space Fantasy” soundtrack, which is still great for the overall trilogy, but not necessarily for immersion into this part of campaign. This new type of play is pretty fun. Sure, it is pretty noticeable that they are not focused on like the campaign was, but that is not exactly the point either. Just like you can’t actually compare the campaign to adrenaline fulled competitions in the fires of multiplayer mode. The goal of this mode is to be just that, a golden spot between those two types of play. You play with a friend or random companion from the other side of BattleNet against an AI, but there are various mission objectives that you must complete. Every time you play you earn XP, you unlock new units and abilities and some of them are unique specifically to a certain Commander that you play as, and to this mode of play. It reminds me of an old WarCraft games as well as the new Warhammer 40k Dawn of War II games, and that’s a great thing. You choose among the commanders like Raynor, Swann, Kerrigan, Zagara, Artanis and Vorazun. Currently there are two representatives of each race but as the Blizzard says, there are yet more to come (first among them: Karax). The missions, scenarios and maps are all different and interesting but there is quite a few of them. We expect and hope to get more content in the future, because this entertaining mode deserves it. In this segment, I will comment on Blizzard statements to reveal the true look of this mode. The Archon is the mode where two players have the control of the same profile and they play like one. It is 2v2 played like 1v1. One player can be focused on macro and the economy while the other keeps his fingers on micro and the battles in the game. Good pairs of player could bring us really unique and surprising matches and two (for example) Diamond players really could seem like one Grand Master. On the other hand, there is also a number of possibilities where this mode could turn into a complete mess if the partners are not synchronized well enough. Contrary to Blizzard statements, this mode is definitely not a best introduction for a new players into a competitive multiplayer. If the player wants to become competitive he simply must “stand on his own two feet”, and what this mode offers is something completely opposite. It is interesting, even more challenging and it could be fun and bring some impressive matches, but that’s about it. No matter how good of a refreshment is a campaign for this game the real change came with the new competitive multiplayer. 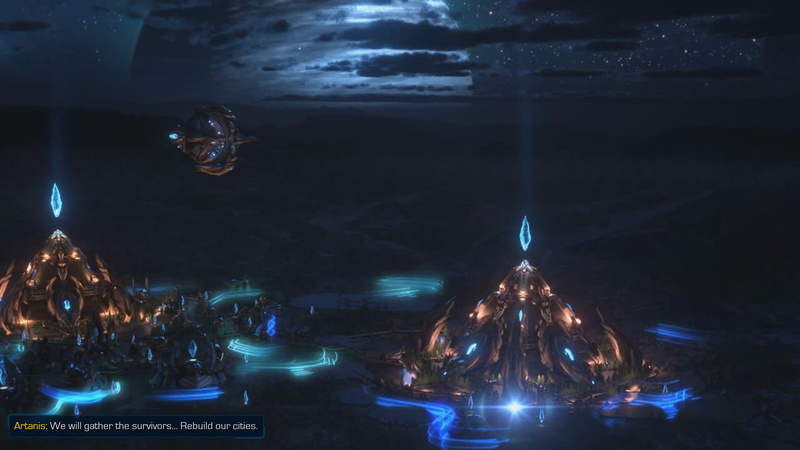 Protoss race is been changed drastically and now reminds of the Protoss of the old, from the good old Brood War days, with even more emphasis on the micromanagement. While all the new stuff like overhauled Chrono Boost, new Distruptor and Adept units and Pylon Canon are harder to use, on the other hand the rewards of mastering them are that much greater and provide even more flexibility. Furthermore, drastically slowed Warp time have changed many fundamentals. There is no such thing as “reflexive offensive or defensive warp” anymore. I was skeptical about it, since it is one hell of a nerf to play with, but I do understand that it was necessary and I even encourage the attempt to scale down such things as “no-brainer rush tactics” and to boost the strategy aspect as much as possible. Like the cherry on the top, the Carriers have become more flexible with the ability to leave Interceptors to fight while they’re moving out independently, going for the next objective. 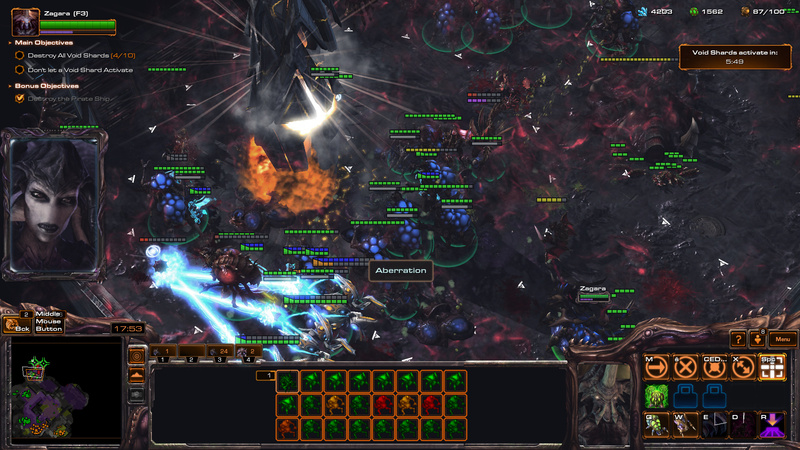 Terrans got the Liberator, early-game flying unit which can be incredibly handy but requires skill and precision (just like the Adept), or it is lost in no time. 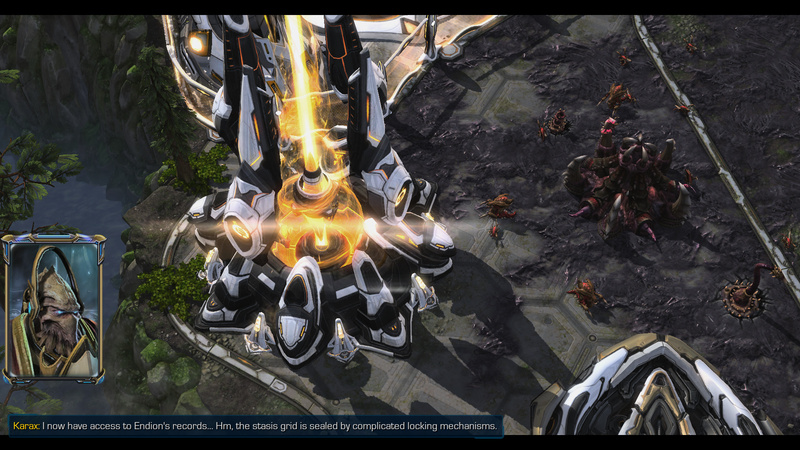 Reapers became even more flexible and effective thanks to the new mine ability – Hit and Run indeed. Siege Drop ability is something which divided the fans since it seems to be almost too effective and easy to use, however, there is no doubt it will add to the dynamic of the matches, just like Banshee speed and the Battlecruiser tactical jump, that’s for sure. Cyclone is mainly unchanged, but still effective and fun to use. In the Zerg camp we have the famous return in the form of Lurker – everyone’s favorite chaos maker. 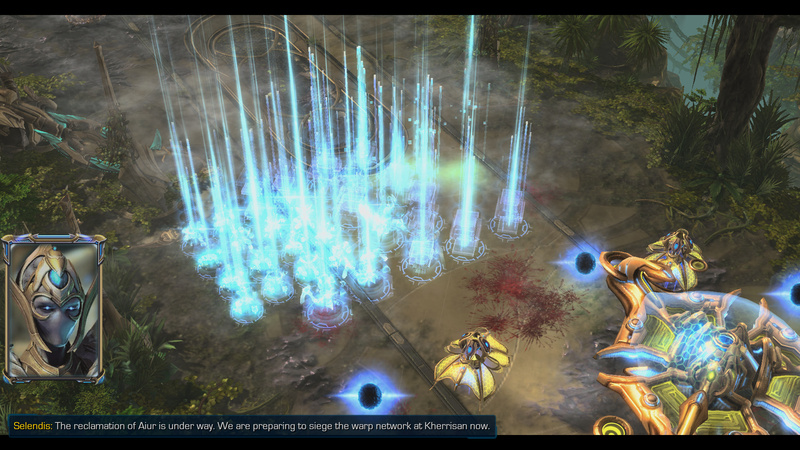 Swarm Hosts are now puking the flying Locusts while Corruptors can siege buildings with their acid. Ravager comes as an ideal early unit that breaks the forcefields and sends the volley of projectiles over the obstacles which is by itself, extremely valuable tactical option. Wings of Liberty showed us the potential, Heart of the Swarm made it rich with details and the complexity while Legacy of the Void completely remade the whole thing! Although I knew what was coming, I found myself surprised once again because the new rhythm of the game is simply not letting you to relax, even on the start. No more warming up on hotkeyes while drinking juice and waiting for the first pylon/gate/core to finish. Double the speed from the start, constant emphasis on the action and the continuous search for more resources. 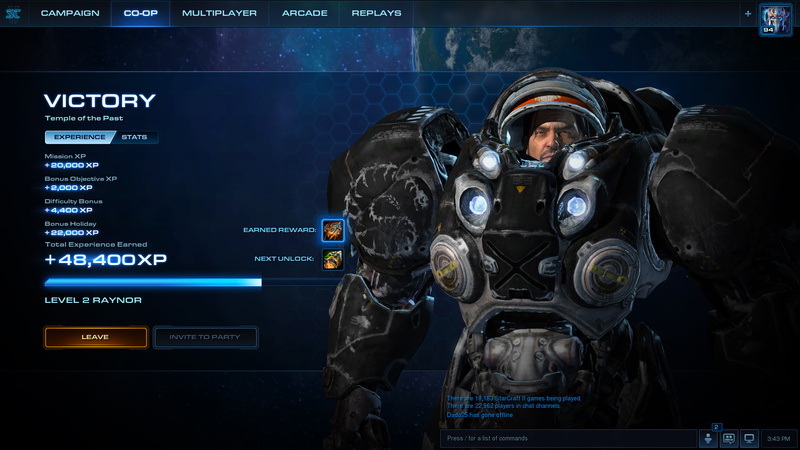 This is the StarCraft II on steroids. No matter how big the Skill Ceiling was so far, now it is even bigger, and it cemented StarCraft II as the most challenging E-Sport today and in the years to come. Since the Legacy of the Void is more complex and dynamic game, isn’t it less approachable also? Well, not necessarily. There is much more options for the new players than ever before and various game modes will keep the player entertained while sharpening the skills. Ladder itself has been changed and the controversial “MMR Decay” (main reason why for example, the Gold player is matched with Master in Ranked play) is finally gone. We should be having much more “fair matches” this time around. Of course, there will still be a plenty of challenge but that is the nature of this game. If the player wants to evolve, to get better and have more fun, there is simply no other way than to start “Versus AI” or “Custom” mode in the Multiplayer tab and practice until it feels ready to start with Unranked or Ranked Ladder mode. 1v1 matches are the only option if you truly want to get ready for the competitive multiplayer. No matter how complex this chaos looks, the game versus AI is very player friendly. Normal difficulty is extremely easy once again, while Casual basically plays out by itself. 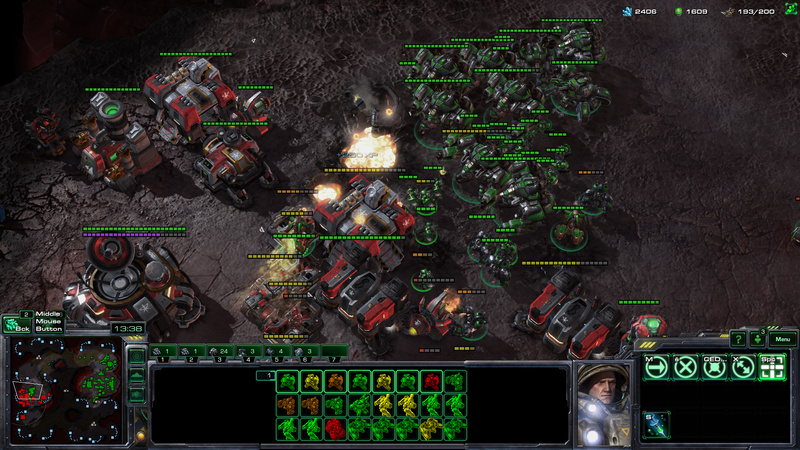 The real dynamic of StarCraft is shown only on Hard difficulty and above. What Blizzard is saying is just a marketing thing. Hell, at one point, they even said that the Campaign is the good starting mode in order to prepare people for multiplayer – which is absurd. Now, to be fair, the Legacy Campaign does have an integrated tutorial on the Normal difficulty in order to explain the basics. However, in any case, the practice in the other modes is still crucial before jumping unto the Ladder. Completely different set of units, abilities, objectives and conflicts, but most important – mechanics would confuse and illude the player before anything else, let along prepare for the realities of the competitive multiplayer. 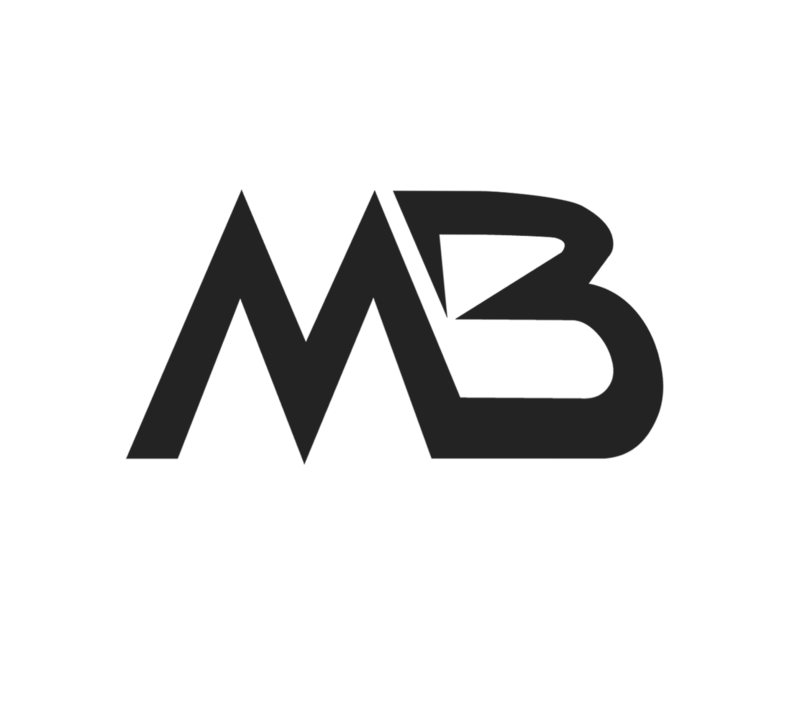 Aside from the mentioned game modes one more addition are the online Automated Tournaments from which every successful player can proudly take the trophy and display it on their Profile. Also, the brand new UI makes everything more intuitive and fun to manage. 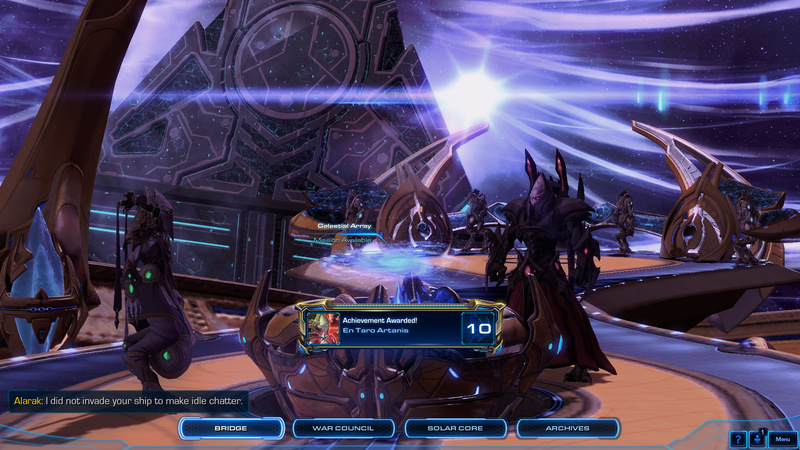 Ah, finally… The return to Aiur. This is the moment we’ve anticipated ever since 1999! And so, the story that began a long time ago, in 1998., finally comes to an end. Was it worth it? For those who enjoyed in every game so far – yes, definitely. Those more critical could say that it’s far from perfection, but even they will get stuck in some of those fun modes that this game offers. 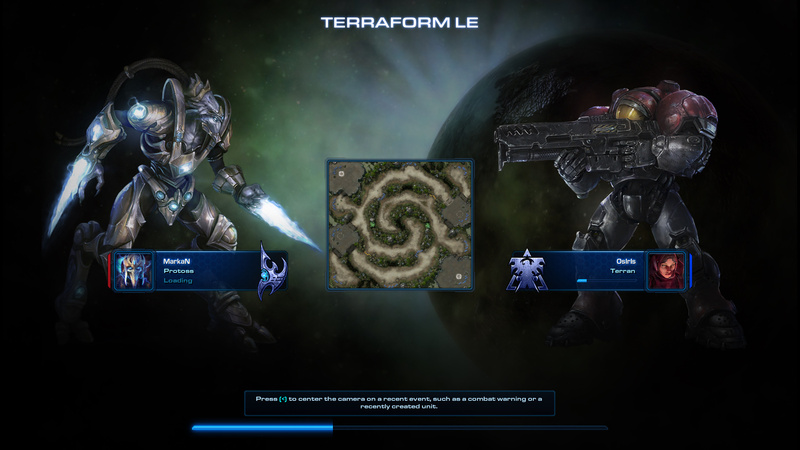 I, as a Protoss player have been waiting for this ever since 1999. It is the level of anticipation that only a perfect title could really justify. However, I am very much happy with the things that this game have to offer. 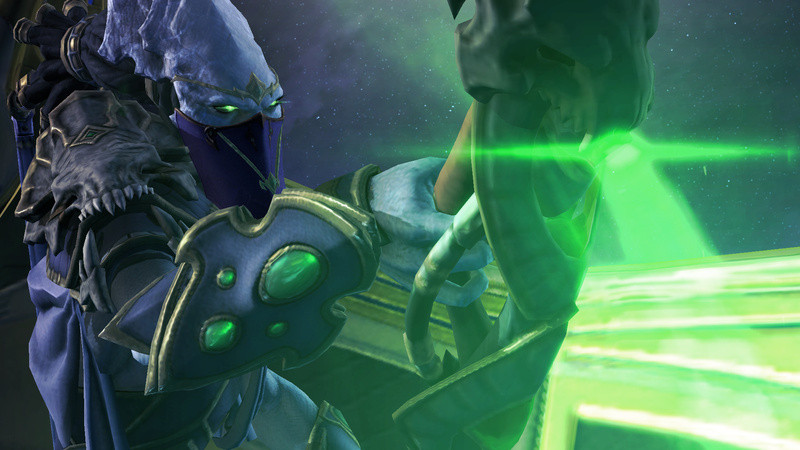 Although it has it’s flaws, Legacy of the Void is the worthy conclusion to the trilogy. However, in a sense, what some may consider as an ending, it also could very well be – a new beginning. 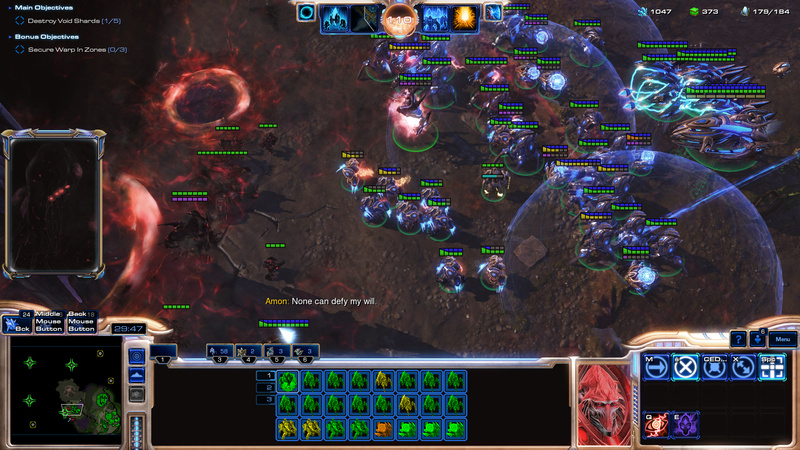 StarCraft II has just became even more exciting and dynamic E-Sport, both for playing and watching. The end has definitely come to those legendary lengthy matches where the players were competing for over an hour, two hours, or even three ours – but if that is what we had to sacrifice in order to get a better E-Sport, then so be it. Although more dynamic, challenging and fun than before, StarCraft II is a game that isn’t for everyone, but just like the Dark Souls, nor it should be. Those who like the challenge, the tactics, the strategy and the competitive dynamic and extremely layered gameplay will love and appreciate what Legacy of the Void has to offer. It is the game that despite it’s difficulty is now even more accessible to a new players than ever before, and as such, definitely deserves a chance. Although the game is new, more content have been already announced for the future. The support of the developers will be here and it will be constant. New portraits, animations, skins, Arcade games (now opened for young developers), co-op commanders and additional single-player campaigns like Nova Covert Ops (15$) will be added to SCII in the future. No matter how you look at it, being fifth sequel in StarCraft series or third in the StarCraft II trilogy, Legacy of the Void stands strong and the fact that it is a standalone title, can only be a good thing. Now the whole trilogy costs nearly 60$ and the amount of content that you get is really overwhelming, especially when you compare it to other modern games these days. It is definitely a recommendation to any gamer that do not own the StarCraft II yet – Best buy! Is it the last great RTS? Maybe, however I refuse to believe that the future is so grimm. Luckily, now we have a new champion, so strong that will last in the years to come, perhaps even the whole decade (like it’s predecessor). The trilogy may be complete, but the best moments are yet to come. Special thanks to fellow editors for support and the team from Videotop who provided the game.